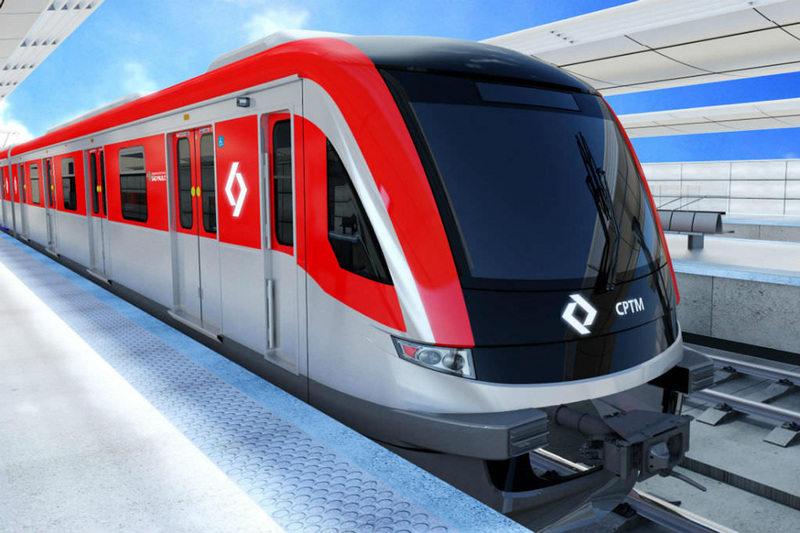 BRAZIL: Sao Paulo Metro Line 13, connecting the city to the Airport, will start daily test operations between 10am and 3pm from 30th of April. The line has been running on assisted operations schedule on Saturdays and Sundays only since the 31st of March. During the four test weekends the CPTM Line 13 Jade carried almost 120 thousand people, most of them using it as a tour to learn about the route and its integration with Guarulhos International Airport (GRU Airport). The company is looking to complete all the tests in May and make the necessary adjustments for the beginning of the commercial operations scheduled for June, when the trains will run from 4am to midnight. Line 13 Jade is the first rail link with the Guarulhos region and a new transport connection to access the international airport. With a total of 12.2 km, Line 13-Jade has three stations: Aeroporto-Guarulhos, Guarulhos-Cecap (new) and Engineer Goulart (rebuilt), which integrates with Line 12-Sapira (Brás-Calmon Viana), in the city of São Paulo. CANADA: The Greater Toronto Airports Authority (GTAA) and Metrolinx have announced that they will be working together to study potential connections for the Kitchener rail corridor to Toronto Pearson’s Regional Transit and Passenger Centre, in addition to other potential transit connections such as the Eglinton Crosstown West Light Rail Transit (LRT). This advancement of work to better integrate transit projects into Canada’s busiest airport will help connect the country’s second largest employment zone and reduce highway congestion. This partnership follows Premier Kathleen Wynne's recent announcement that the Province is advancing High Speed Rail and Metrolinx is moving ahead with an Environmental Assessment for next steps for a separation of freight and passenger lines in the Northwest Greater Toronto Area (GTA). This is a major development, as that separation will allow for both frequent GO Train service as well as High Speed Rail between Waterloo Region and the GTA. As part of the Environmental Assessment phase, Ontario is working with the GTAA to explore options to connect two-way, all-day service on the Kitchener GO line to the planned Regional Transit and Passenger Centre, a multi-modal transportation hub and passenger facility to be located at Toronto Pearson. Phasing considerations related to the above. “We are excited to be moving ahead with our partners to explore all options available. By strengthening connections among communities along the innovation corridor between Kitchener-Waterloo, Pearson Airport and Toronto, we will work to deliver faster, more frequent service for our customers” said Phil Verster, President and CEO of Metrolinx. GERMANY: The Volkswagen Group is testing autonomous parking at Hamburg Airport using Volkswagen, Audi and Porsche vehicles. The Group says that the technology will be available to order from 2020. During the tests vehicles need to navigate their way to a parking space using simple pictorial markers installed in the multi-storey car park. According to the Group, the autonomous parking function will be rolled out in two stages, in the first stage the vehicles will use exclusive traffic flow in separate areas of the car park not accessible to people. The next stage will be operation in mixed traffic where vehicles will park and move autonomously in the same areas of the car park as cars with drivers. 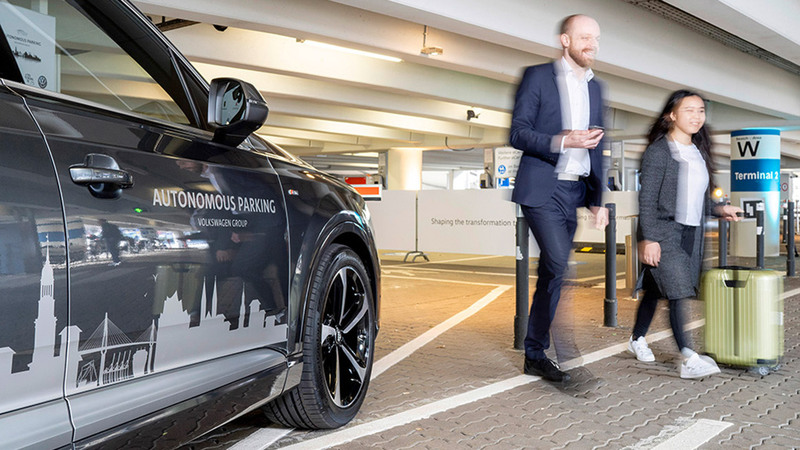 Three brands from the Volkswagen Group, City of Hamburg and Hamburg Airport are cooperating on the autonomous parking trials. “Our clear objective is autonomously driving vehicles that facilitate mobility for everyone at the push of a button and that gives people back time and quality of life as well as greatly improving safety on the roads. Autonomous parking is a milestone on the way there,” Johann Jungwirth said. CANADA: CDPQ Infra has started construction of the Réseau Express Métropolitain (REM) line, connecting Montreal Trudeau Airport with the city centre. “Today, we have reached an important destination. With this groundbreaking, thousands of people will soon be on site to build one of the world’s largest automated transportation systems right here. With $4 billion in Québec content and the creation of 34,000 jobs during construction, the REM will generate significant economic benefits for the economies of Greater Montréal and Québec,” said Michael Sabia, President and Chief Executive Officer of Caisse de dépôt et placement du Québec. In the last few weeks, the two selected consortia, NouvLR and Partenaires pour la mobilité des Montréalais (PMM), successfully aligned their respective proposals and schedules in order to start building the largest public transportation project in Greater Montréal in the last fifty years. Final construction costs of $6.3 billion have once again been confirmed. The operations and maintenance costs also confirmed the $0.72/passenger-km that will be billed to the Autorité régionale de transport métropolitain. “With our partners, NouvLR and PMM, we have achieved our objective of delivering the best project at the best price for our clients, the millions of Quebecers counting on us for their retirement, and the citizens of Greater Montréal, who will benefit from a brand-new 67-km, 26-station public transportation network that will make travelling easier,” said Macky Tall, President and Chief Executive Officer of CDPQ Infra. The consolidated work schedule for the upcoming months will be released in the coming weeks in collaboration with Mobilité Montréal. “The REM is a major project and we have a lot of work ahead of us. We will continue our ongoing dialogue with all stakeholders during construction to ensure that the REM integrates harmoniously in the various communities. The creation of a project management office to plan the work and coordinate with the partners, as well as the creation of a community relations office to communicate directly with citizens, attest to our commitment to listen and continuously improve our project,” continued Tall. Preparatory work has already begun, and construction activities will ramp up in the coming weeks. After a testing period at the end of 2020, the first branch of the REM will be operational in summer 2021. 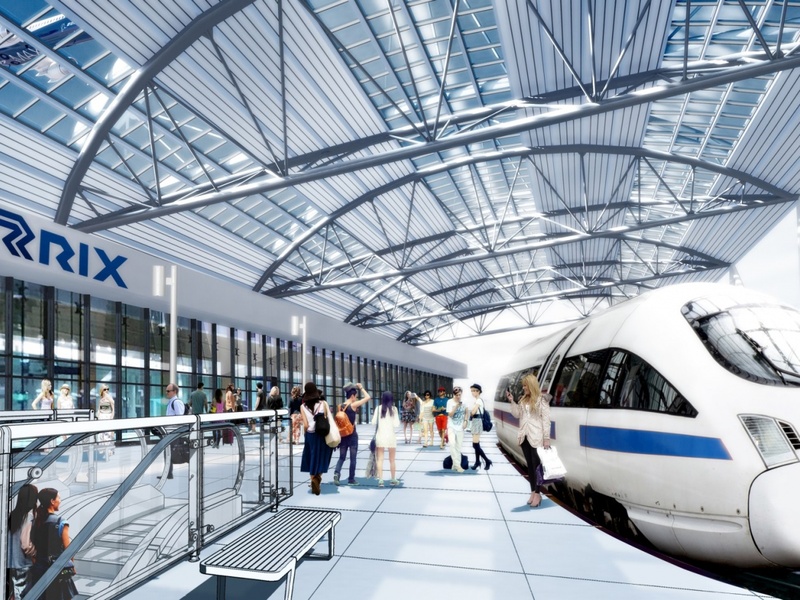 USA: The Los Angeles City Council has unanimously voted to approve a 30-year $4.9B contract with LAX Integrated Express Solutions (LINXS) to design, build, finance, operate and maintain the Automated People Mover (APM) train system at Los Angeles International Airport (LAX). The APM is the centrepiece of the Landside Access Modernization Program (LAMP), which also includes a Consolidated Rent-a-Car (ConRAC) facility, Intermodal Transportation Facility-West, and associated roadway improvements. The APM will reduce vehicle congestion in the terminal loop, provide a connection with L.A. Metro's regional transportation system, create new and convenient locations for passenger pick-up and drop-off outside of the terminal loop, reduce emissions, and provide reliable access to the terminals. The Los Angeles World Airports (LAWA) Board of Airport Commissioners (BOAC) approved the contract at its April 5 meeting. APM trains will arrive every two minutes, have wide doors for easy access with luggage, large windows for viewing, plenty of hand holds and seats for those in need. Station platforms are open air, light-filled and have escalators, elevators, and moving walkways for quick, convenient access to the terminals. Architectural features include a viewing platform of the iconic Theme Building, an Experience LA centre with an 800 sq./ft. LED programmable screen and an LED light band that accents the 2.25 mile guideway. LAWA anticipates that the APM will offer a maximum ridership capacity of 10,000 passengers per hour and up to 87.7 million passengers per year. The system will be operational in 2023. LINXS' proposal had the highest technical score and the lowest cost proposal of the three teams that participated in the procurement process. The contract includes milestone payments for the design and construction phases, as well as authorizes future payments for operating and maintaining the APM for the contract period. AUSTRALIA: Prime Minister Malcolm Turnbull has pledged $5 billion investment through a Commonwealth fund to build the Melbourne Airport Rail Link, connecting the CBD and the airport. The investment will also help reduce the strain on the Tullamarine Freeway which is one of the busiest roads in Victoria, catering to up to 210,000 vehicles a day. "We expect that the results of the business case process, which we initiated at the 2017-18 Budget, will soon provide a clearer picture on the best route, best mode of transport and cost of the project. We are under no illusion that such a city-shaping project does not come cheap. That is why we are making such a significant commitment," Turnbull said. "We want the Victorian Government to partner with us in a true 50:50 funding partnership to build and own this iconic piece of infrastructure. We also welcome the involvement of the private sector. Melbourne is the nation’s second busiest airport with forecasts indicating a throughput of 60 million passengers by 2030." Freeing up the Tullamarine and Calder freeways, presently used by airport traffic. “It’s very welcome to see the Commonwealth and Victorian governments partnering on major new projects in the State,” said Infrastructure Partnerships Australia Chief Executive Officer Adrian Dwyer. “Major rail projects like the connection to Melbourne Airport cannot be paid for by ticket charges alone, so the key detail will be how much hard dollar funding is allocated in May’s Federal Budget. The rail link will provide Victorians with some degree of certainty that their trip between the Airport and CBD will be 30 minutes, with a train every 10 minutes, taking pressure off the CityLink/Tulla corridor." With this new investment, the Commonwealth now has $17.5 billion committed to transport infrastructure projects in Victoria - including the $3 billion put aside for the East West Link. 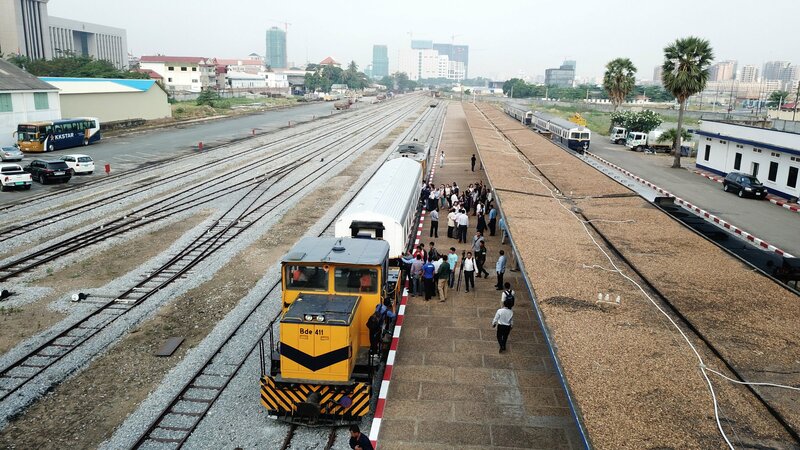 CAMBODIA: On 10th of April the Minister of Public Works and Transport Sun Chanthol has launched the 9.6km airport rail shuttle service from Phnom Penh Railway Station to Phnom Penh International Airport. The service is currently running on two utilized existing trains, three more trains build and ordered from Mexico will be added to the service shortly. Each wagon is equipped with air conditioning, 56 seats and can handle an additional 45 standing passengers. The train service departs every 30 minutes, taking approximately 25 minutes on its one-way journey. In collaboration with the State Secretariat of Civil Aviation, passengers can check in and send their belongings through secure checkpoints from the Phnom Penh Railway Station to the International Airport. To celebrate the Khmer New Year, the service is free of charge from April 10 until the end of July, 2018. 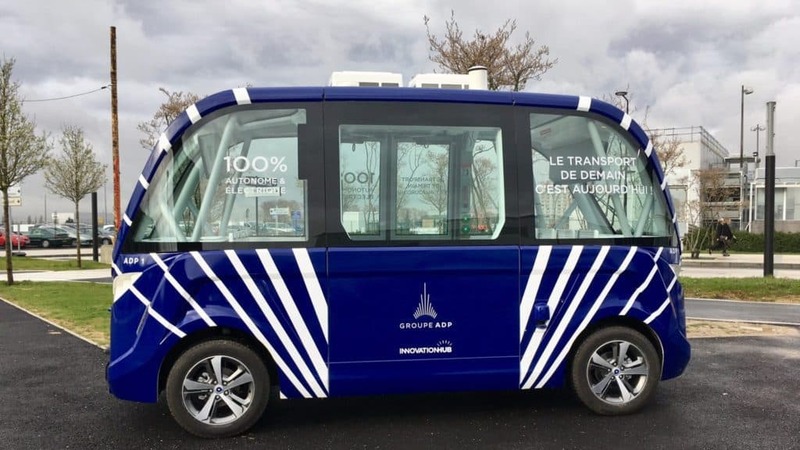 FRANCE: Groupe ADP has just launched a trial of two fully electric, driverless shuttles – the first at a French airport. Located in the heart of the airport's business district, Roissypôle, they connect the suburban train station (RER) to the Environmental and Sustainable Development Resource Centre and Groupe ADP's headquarters. 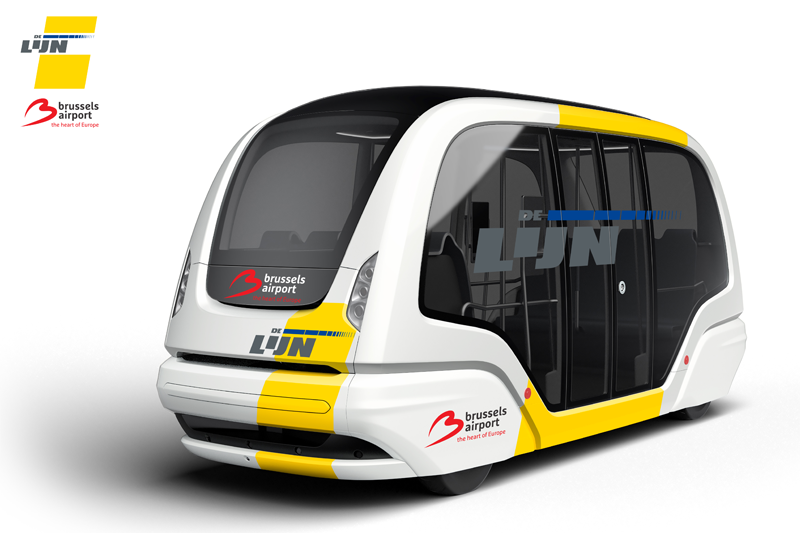 Keolis, the operator, has joined forces with Navya, the French autonomous shuttle designer, to carry out the pilot project until July 2018. This initial trial represents an important milestone in Groupe ADP’s strategy to become a key player in the autonomous vehicle ecosystem. The aim of the pilot is to test how the automated vehicles will behave on a high-traffic roadway, as well as how they merge and pass within an extremely dense environment that includes many pedestrians. An intelligent road infrastructure system that uses traffic signals to communicate dynamically with the shuttles has been set up in order to optimise the crossing of the road in complete safety. Feedback from users (employees and passengers) is also one of the trial's determining factors. According to Groupe ADP, the new autonomous mobility solutions are a strategic concern for the development and competitiveness for airports, as they help enhance service quality and the reliability of the various transportation modes used, in addition to improving road network flow around major hubs. This initial step will allow Groupe ADP to subsequently roll out this technology on other sites and with other applications, within a multifaceted area like the airport city. “Autonomous transport services will play a key role in our aim to create a new generation of connected airports. With this first trial, Groupe ADP is paving the way for developing this technology within our airport networks in France and abroad. In these constrained environments, autonomous technology is a lever for optimizing infrastructures for of a new mobility offer. Our airports' mobility needs are quite considerable – between the various terminals, car parks and departure areas, or even airside – and could lead us to develop an autonomous vehicle fleet in the future. Within the framework of our Innovation Hub programme, the future of mobility is being built in the heart of the airport city", stated Edward Arkwright, Deputy CEO of Groupe ADP. The two shuttles, accessible to persons with reduced mobility, can carry up to 11 seated and 4 standing passengers. Each can reach 25 km/h on a 700-metre-long track. The service operates from 07:30 am to 08:00 pm and is free. An on-demand shuttle service is available by scanning a QR code with a smartphone. “Keolis and the ADP Group have been working closely for several years now in order to develop mobility services adapted to the airport zones of the Paris region. Keolis is proud to be supporting the ADP Group in their new autonomous vehicle trial, which enhances the range of services that we already provide them with, including the management of the Roissypôle bus station, the shuttle buses for Orly Airport, as well as our partnership with Le Bus Direct, a premium coach service between Paris and Orly and Charles de Gaulle airports. This is Keolis’ second autonomous shuttle project in the Greater Paris region, following the launch of a first trial in Paris’ La Defense business district in July 2017, with the local transport authority, Ile-de-France Mobilités,”said Youenn Dupuis, Keolis’ Deputy CEO for Greater Paris region. "NAVYA is delighted to be marking out the airport of the future together with Groupe ADP and Keolis. The airport of the future is based on smart and specially adapted mobility solutions that are able to communicate with the infrastructure that we have set up at Roissypôle with Groupe ADP. Airports are areas where the traffic is extremely concentrated and so it is really important to manage and optimise the flow. The aim of this trial is from now on, to provide a service that takes into account future deployments," states NAVYA CEO Christophe Sapet. CANADA: Ontario Government has committed more than $11 billion in the 2018 Budget to support construction of Phase One of Canada's first high speed rail line. The line will connect Toronto's Union Station, Pearson International Airport, Guelph, Kitchener and London as early as 2025. Electric powered trains moving at up to 250 km/h will cut the travel times to an estimated 48 minutes between Kitchener and Toronto Union Station. As part of the environmental assessment phase, Ontario is now working with the Greater Toronto Airport Authority (GTAA) to explore options to connect two-way, all-day service on the Kitchener GO line to the proposed multimodal transit hub at Toronto Pearson International Airport. The major transit hub the GTAA is proposing to build at Pearson will offer seamless connections between trains, buses, airplanes, light rail vehicles and high speed rail along the Toronto-Windsor corridor. EVENTS: The second Airport Access Ideas Forum will take place on Wednesday 27th of June in London. The Forum is an event designed to highlight the key challenges airports, city planners and ground transport operators need to prepare for when planning airport access for future users. Our attendees discuss the latest innovations in passenger mobility and their effect on airport access, including infrastructure planning, revenue and passenger experience. Through interactive discussions the Forum participants look at how new technologies and the sharing economy is changing road access and car parking businesses at airports, as well as the opportunities public transport can deliver for airport operators in terms of non-aeronautical revenue, improved customer experience and business development. Airport Access Ideas Forum '18 is co-hosted by Katten Muchin Rosenman UK LLP, a full service law firm offering comprehensive and practical legal assistance to a cross section of industries including aviation, transportation construction and engineering sectors. Katten’s attorneys are often sought out for their expertise in aviation, technology and infrastructure, and pride themselves on providing timely advice on a range of issues facing their clients. The Forum will focus on Autonomous Vehicles Technologies and Mobility as a Service looking into how it will impact the future of airport infrastructure design, non-aeronautical revenues, public transport access mode share and urban development. "The Airport Access Ideas Forum gives the opportunity for transport professionals to challenge themselves and each other with forward thinking discussions. Carefully selected short and thought provoking presentations will highlight the future of automated and subscription based transport technologies and look at how it will impact airport access for passengers and employees," Director of the Global AirRail Alliance, Milda Manomaityte said. “We are thrilled to be hosting this year’s Airport Access Ideas Forum. Having worked with clients to discover solutions to some of the issues they face in relation to the topics being covered at the Forum, we are looking forward to hearing the views of the attendees on their vision of the future of transportation and associated industries,” said Alan Meneghetti, a partner in Katten’s London office and who is also the vice-chair of the Worldwide Airport Lawyers Association. IREALAND: National Transport Authority (NTA) and Transport Infrastructure Ireland (TII) have announced details of the Emerging Preferred Route for MetroLink, the metro service that will serve Dublin Airport and the City Centre. Public consultation on the project in now under way with MetroLink scheduled to be operational in 2027. The Transport Strategy for the Greater Dublin Area (2016-2035) envisaged a rail link from the south city centre to Swords. It also envisaged the upgrading of Luas Green Line to metro standard, which would link up to the metro services running north to the airport and beyond, to provide Dublin with “a high capacity, high-frequency cross-city rail corridor”. Under the National Development Plan 2018-2027, Metro North and Metro South will now proceed as one project known as MetroLink. National Transport Authority CEO Anne Graham said: “Thanks to MetroLink, there will finally be a rail link to Dublin Airport, and with easy interchange with other modes including bus, Dart and commuter rail. There will be 25 stations in total, 15 of them brand new." “We have modelled future passenger numbers and we predict that capacity for 15,000 passengers per direction per hour during the busiest peak times will be required along this corridor. 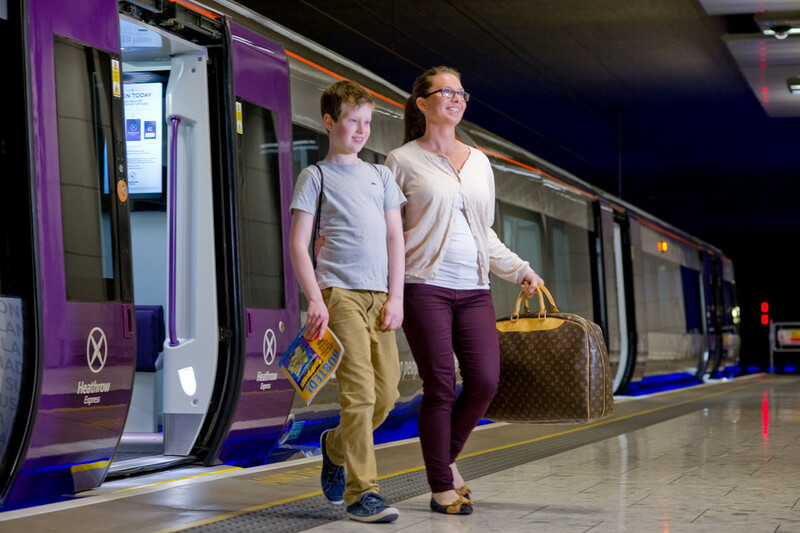 We don’t believe that a bus system or a standard Luas line would be able to accommodate that number of passengers and that is why MetroLink makes so much sense." According to Anne Graham, MetroLink will have the capacity for 30 trains per hour in each direction. 2018 – Consultation on Emerging Preferred Route. 2019 – Application for a Railway Order. USA: City of Chicago has announced the selection of two teams to proceed with competing to design, build, finance, operate and maintain the O'Hare Express rail link. The Boring Company and O’Hare Xpress LLC are now eligible to respond to a Request for Proposals (RFP). The project aims to deliver express service from downtown Chicago to O’Hare International Airport (ORD) in 20 minutes or less, cutting more than 50 percent off current travel times. “Strengthening connections between Chicago’s economic engines will drive our economy into the future, build on the city’s legacy of innovation and pay dividends for generations to come," Mayor Emanuel said. “Today, we have two teams that have the ability to get the job done and create an express connection between downtown Chicago and O’Hare Airport without a taxpayer subsidy." The Chicago Infrastructure Trust, on behalf of the City of Chicago, selected the two respondents to proceed to the next phase of the procurement process based on their qualifications and ability to deliver the critical project with no public subsidy. The Boring Company and O’Hare Xpress LLC (Meridiam, Antarctica Capital, JLC Infrastructure, Mott MacDonald and First Transit) are two of the four entities that responded to a Request for Qualification (RFQ) that was issued late last year. Responses to the RFP will be due on May 18, 2018. The RFP specifies that the O'Hare Express Service should include a downtown station, an ORD station as well as maintenance facilities. Travel corridors may be above or below ground. Service level goals are travel times of 20 minutes or less with service frequency of at least every 15 minutes for the majority of the day. Premium service fares must be reasonable and less than the cost of current taxi and ride-share services. Any proposal must also address how potential impacts on existing transportation systems and the environment would be avoided or minimized. Although cost estimates for the project are not yet known, the RFQ and RFP clearly stipulate that the O'Hare Express Service will be funded solely by project-specific revenues (like fares or advertising) and financed entirely by the developer. UK: The Department fro Transport (DfT) has issued a call for ideas on market-led proposals to deliver a new southern rail link to Heathrow Airport. The link will be one of the first projects under government plans to invite third parties - such as local authorities and private sector companies - to invest in the rail network, over and above the £47 billion the government is already planning for the next five years. There are already a number of consortia looking to construct the southern link to Heathrow. Proposed schemes would need to make commercial sense, build on the government’s significant investment in rail infrastructure and have the needs of passengers at their heart, without the over-arching need for government support. "We are investing in the most significant modernisation of the UK rail network since Victorian times, and I want the knowledge and expertise of investors and local partners to contribute to delivering new connections, more services and better journeys for passengers," Transport Secretary Chris Grayling said. LATVIA: Eiropas Dzelzcela līnijas (EDZL), the project implementer in Latvia, has awarded the first Rail Baltica construction, design and supervision contract to the PROSIV consortium. The consortium is made up of three companies - Sintagma from Italy, Prodex from Slovakia and Vektors T from Latvia. The total amount of the contract is 4.5 million euro. The contract includes the construction of a 4.4km rail spur to Riga Airport as well as the design and construction of the airport station. It is planned to have the station on the same level as the airport terminal check-in hall. A 400 meter platform will serve international and regional trains. Rail Baltica is a railway transport project, which aims to integrate the Baltic States within the European railway network, and at present it covers four European Union countries - Poland, Lithuania, Latvia, and Estonia. It is envisaged to build in the Baltic states new 870 km long European gauge (1435 mm) railway line with a maximum speed of 240 km/h.